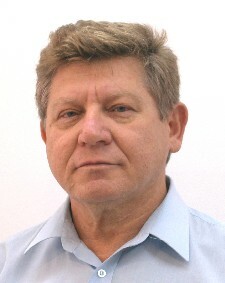 Peretz Shoval is Full Professor of Information Systems Engineering (ISE) at Ben-Gurion University in Beer-Sheva, Israel. He earned his M.Sc. in Information Systems from Tel-Aviv University (1976) and Ph.D. in Information Systems from the University of Pittsburgh (1981), where he specialized in expert systems for information retrieval. Prior to moving to academia, Prof. Shoval held professional and managerial positions in computer and software companies. In 1984 he joined Ben-Gurion University, where he founded and chaired the Information Systems Program, which later became the Department of Information Systems Engineering. Prof. Shoval’s research interests include conceptual database modeling, information systems analysis and design methods, and information retrieval and filtering. He has published over a hundred and forty papers in journals, edited books and conference proceedings, and wrote several textbooks on systems analysis and design, including Functional and Object-Oriented Analysis & Design – an integrated Methodology. Among other things, he developed the ADISSA and FOOM methodologies for systems analysis and design; and methods and tools for conceptual data modeling, view integration and reverse database engineering. Shoval has been active in international conferences and workshops as program chair and member of program, organization and steering committees. In 2009, he has been selected by the ACM as Distinguished Scientist. More information about Shoval can be found at http://www.ise.bgu.ac.il/faculty/shoval.